A tenancy agreement is a contract between landlord and tenant. It is usually written, but can be oral. The tenancy agreement gives certain rights to both the landlord and tenant. In essence, the landlord and tenant can agree their own arrangements about the tenancy, and this will form part of the tenancy agreement so long as they are legal. The tenancy agreement could be either fixed-term (runs from a set date to a set date) or a periodic (runs on a week by week, or month by month basis). The most common form of tenancy is an Assured Shorthold Tenancy. Most new tenancies are automatically this type. A tenancy cannot be an Assured Shorthold Tenancy if it began prior to January 1989, the rent is more than £100 k per years, it is a business tenancy, it is a holiday let or the landlord is a local council. There are other tenancy types that aren’t as common as Assured Shorthold Tenancies. This includes excluded tenancies or licence (most common when the tenant lodges with the landlord and shares common rooms such as kitchen), assured tenancies (made between 1989 and 1997) and regulated tenancies (before 1989). A tenancy agreement can exist even if there is only an oral agreement between the landlord and tenant. At the start of the tenancy, the landlord and tenant may have agreed how much the rent would be, what it includes and when it is payable. Oral agreements are very difficult to enforce (from either landlord or tenant) because there is no evidence of what has been agreed between the landlord and tenant. It may be the case that a particular problem arise which has not been agreed between the landlord and tenant. Express terms are those written down in the tenancy agreement. It is advised to include details of the landlord (including address), date tenancy began, details of who can live in the property, how long the tenancy will last, the amount of rent payable and the length of notice which the tenant or landlord need to give if the tenancy is to be ended. There is no legal requirement, except in the case of social housing, for a tenancy agreement so it is vital that both parties are aware of their legal standing. A well drafted tenancy agreement will be invaluable should a dispute arise between the landlord and tenant. There are obligations placed on both landlord and tenant which may not be set down in writing but which are given by law and implied into any tenancy agreement. The most common implied terms include the landlord being responsible to carry out basic repairs, the tenant has the right to live peacefully and the tenant has to use the property in a tenant like way. The rights given by the implied terms always override those which are stated in a written (or oral) agreement. A tenant can usually end a fixed-term tenancy by providing the landlord with written notice up to 2 months before the tenancy ends. The tenancy agreement will then finish at the end of the fixed-term. This applies should the landlord wish to give notice to the tenant. A tenant can end a periodic tenancy by giving notice to the landlord at the end of a rent period; for example, if the rent is paid weekly, then a weeks’ notice, or if the rent is paid monthly, then a months’ notice. This applies should the landlord wish to give notice to the tenant. Tenants should be aware of the rent liability should a tenancy terminate before a fixed term stated in the tenancy agreement. Unless it is expressly stated in the tenancy agreement, the landlord can insist that the tenant pays the rent until the end of the tenancy agreement. 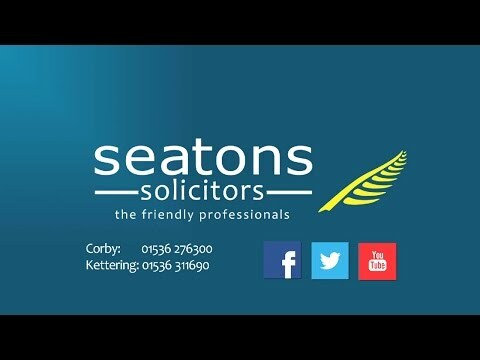 Here at Seatons, we can draft tenancy agreements for a fixed cost with no hidden extras. As a landlord, we can meet to discuss your requirements and incorporate those into the tenancy agreement. We can advise on the implications of including/not including certain terms within the tenancy agreement. If you are a tenant, we can advise you on your legal obligations under the tenancy agreement and the implications of breaching a clause within the tenancy agreement. My name is Carol O’ Leary. I am a lawyer who specialises in landlord and tenant legal services. We aim to provide our clients with an outstanding legal service.